Acorn_REV4 CNC control boards now shipping Acorn CNC control kits with both Mill and Lathe CNC Software. Centroid "Acorn" Step and Direction CNC Controller kit: a 4 axis CNC control with built-in motion control cpu. 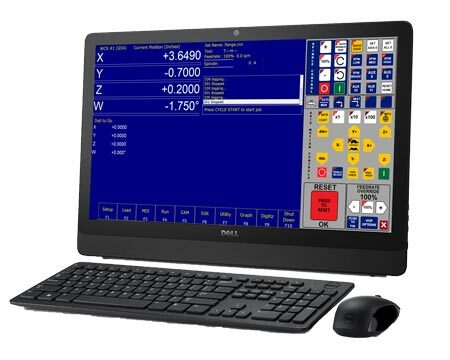 A reliable, high performance, industrial quality CNC control at a do-it-yourself price. Acorn utilizes an integrated 1Ghz ARM Cortex A8 Motion Control CPU and communicates with CNCPC via a fast and reliable Ethernet connection. The Acorn CNC control board controls a wide variety of axis motors and drives with industry standard step and direction command signal. Perfect for many types of machine tools such as: CNC milling machines, a wide variety of CNC routers, Plasma, Flame and CNC lathes to 3D printers and other specialty applications. Compatible with small to large axis motors of all types and can be used with most any AC brushless servo motor drive packages such as: DMM, Delta, Estun, Teco, Teknic, Yaskawa and others. Any drive that accepts step and direction commands. Most all stepper motor drives are compatible with the Acorn board such as the popular Gecko and Leadshine stepper drives. 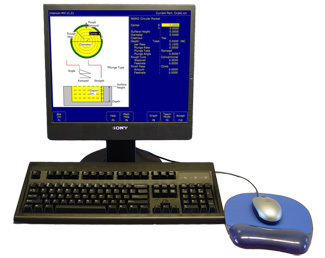 Acorn runs on Centroid proven industrial quality Mill or Lathe CNC control software. Acorn kit includes Centroid "Free" CNC Mill and Lathe CNC software. - DIY self service CNC support thru Centroid Community CNC Forum which is Centroid Technician monitored and maintained. - Optional Factory Direct Technical Support: $90/hr. Plug and Play Relay Outputs with the Acorn CNC Relay Board! Direct connection to the Acorn board with the supplied ribbon cable makes connecting and getting a relay board up and running a 5 second operation. 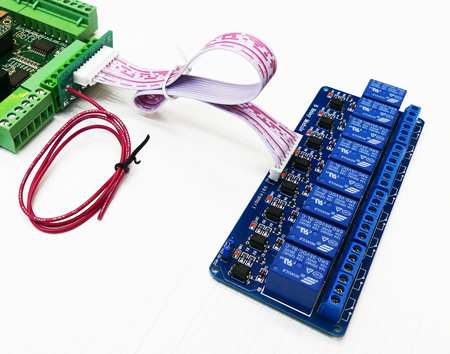 The Plug and Play relay module allows CNC controlled connections to various CNC devices such as VFD’s, solenoids, lights, fans, pumps, motors, other larger relays and contactors in a compact format. The 8 relay module contains eight SPDT (Single Pole Double Throw) high current relays (10 AMPS at 250 VAC,and 10 amps at 30 VDC) which can directly control any device rated at or below the maximum rating of the relays. If higher current devices are required these relays can then in turn control larger relays or contactors to control the higher current device! Relay module has on board LED indicator lights for each relay. Upgrade to Centroid Acorn Mill "Pro" CNC12 from the Free version that is included with each Acorn kit. After purchase, the License will be sent via E-mail delivery. Each Acorn Software License is specific to a single Acorn board. 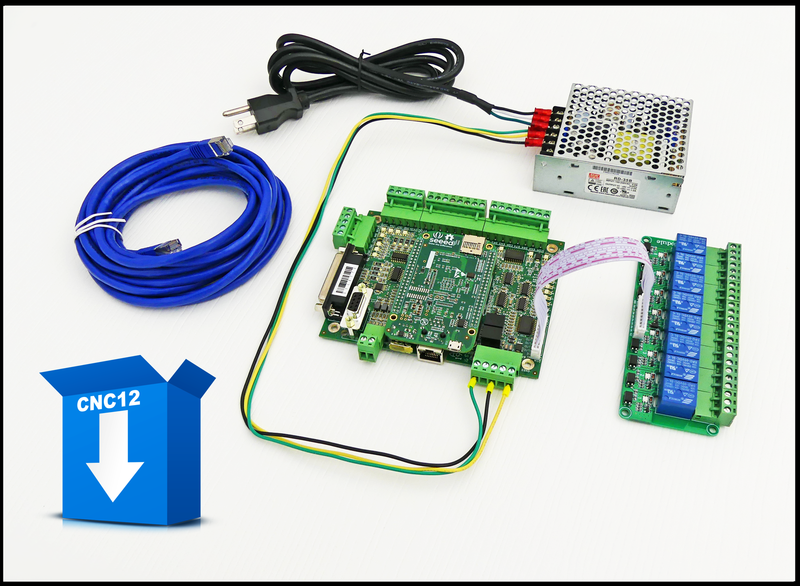 If you are purchasing a license for a previously ordered Acorn kit please email a report.zip file to diysales@centroidcnc.com to expedite delivery. Add amazing Digitizing and Probing capabilities to your Mill or Router with the Acorn "Digitizing Bundle"
- 2D and 3D Digitizing, Grid, Radial, Contour. 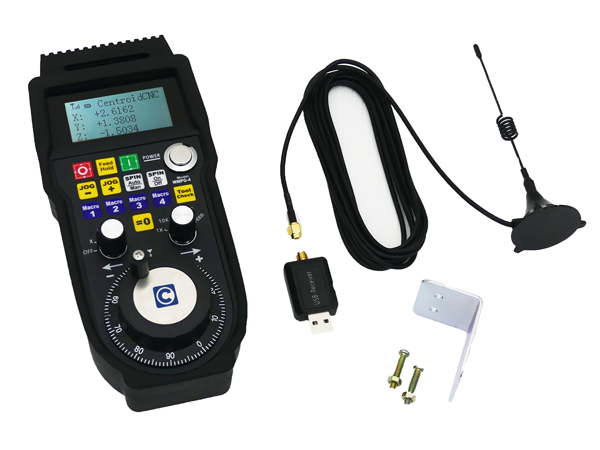 - Works with Centroid DP-4 Touch Probe or any other Contact probe. 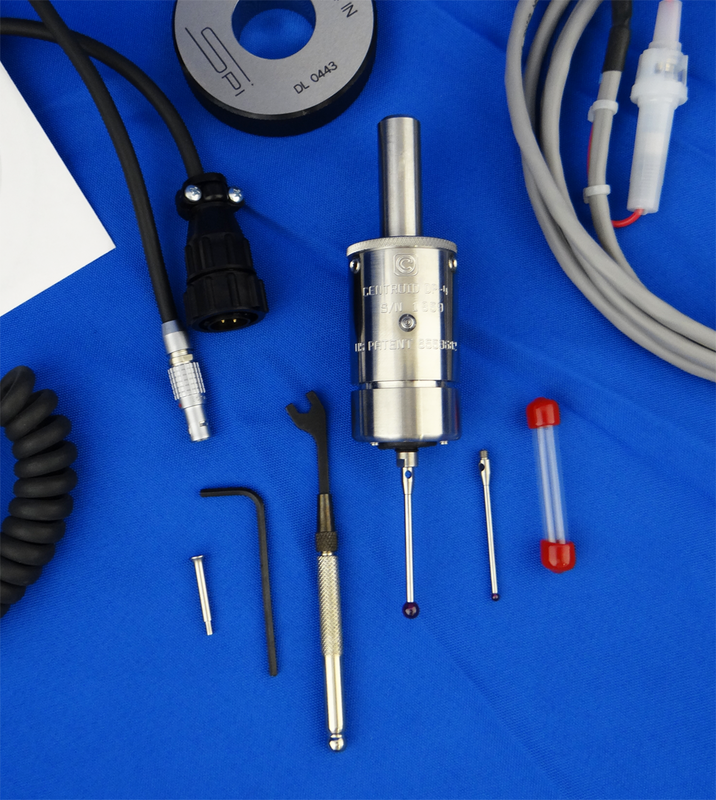 Upgrade to Centroid Acorn Lathe "Pro" CNC12 from the Free version that is included with each Acorn kit. - Full version of Centroid Lathe Intercon Conversational Programming software:. 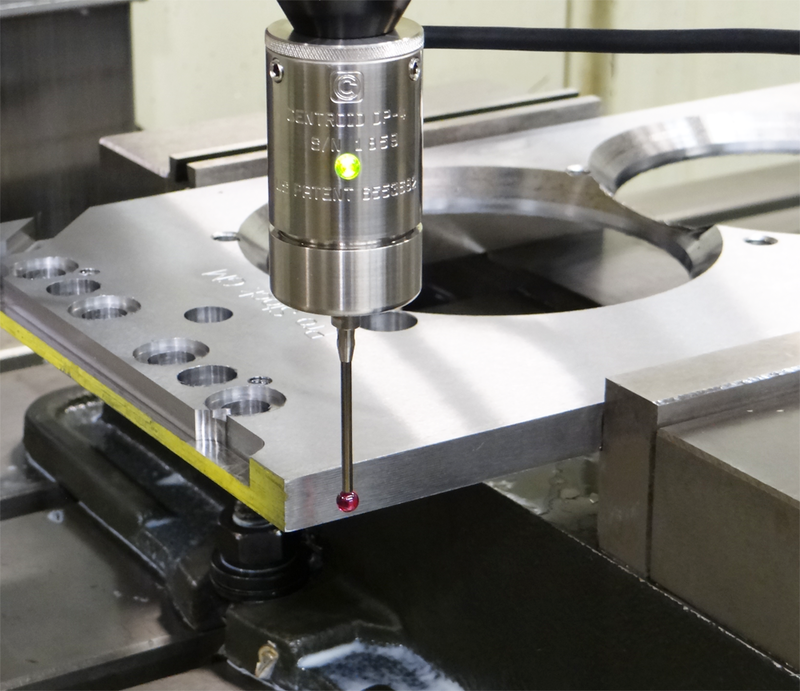 Auto profile cleanout, grooving, cutoff, chamfer, turning, end face turning, threading and more. Video of Acorn CNC Single point threading, rigid tapping, profiling, encoder feedback, conversational programming on our in-house CNC Lathe test mule. Reference Too l & Tools 1,2,3 Unlimited auto measure on all tools. Unlimited auto measure on all tools. Tools 1,2,3 Unlimited auto measure on all tools. Unlimited auto measure on all tools. No, "Free" is limited to 3 axis simultaneous moves with single axis 4th axis moves. X/Y axis Deskew, corrects for axes out of square. Runs on 100-120 VAC OR 200-240 VAC power input. Planning to build or use your own PC as a CNCPC? Be sure the PC meets the Centroid CNCPC minimum requirements found here. 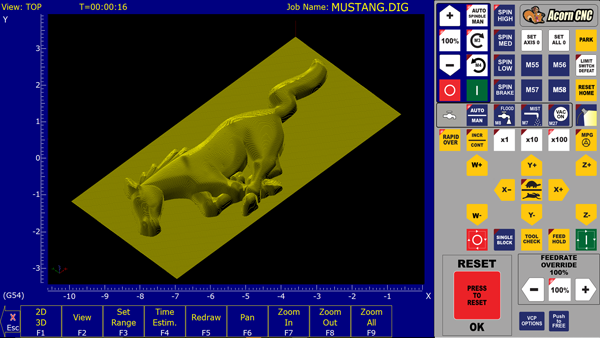 The Centroid CNC software runs on any Windows 10 PC that meets the requirements. - If you plan to build your own CNCPC follow the recommendations here. 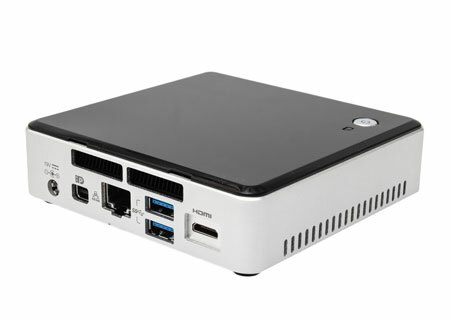 High Performance Centroid Intel NUC CNCPC. - Industrial quality reliable Emergency Stop Button with two switches. - For use with the Acorn CNC control board. Introductory price: $215 w/ Free shipping to USA. Take the control to where the work is! A game changing tool, the Centroid Wireless MPG handwheel CNC Control pendant allows the operator to conveniently and precisely set up jobs and tools remotely. No software or drivers to install. Plug and Play with Centroid CNC12 Pro CNC software, just plug in the included USB transmitter/receiver and start using it! 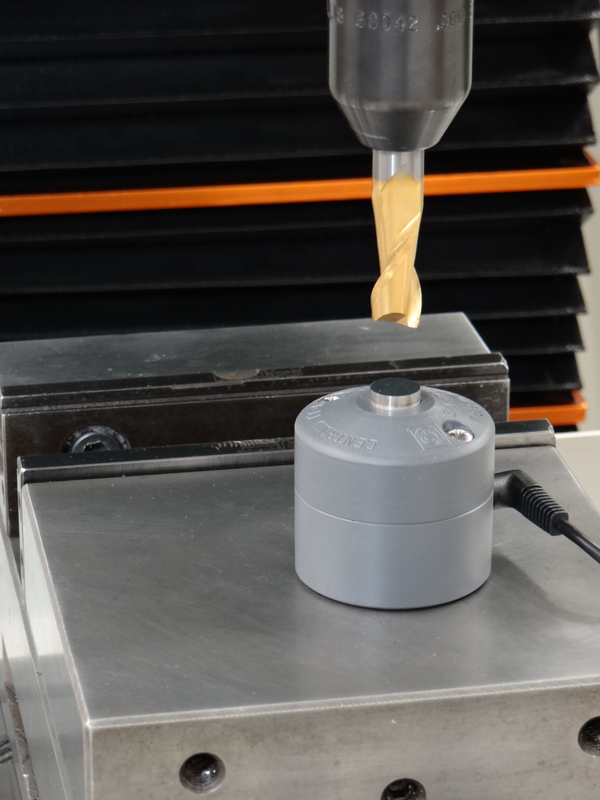 Perfect for all types of Mills, Lathes, Routers and other specialty CNC machines. click here for more info. Includes Servo Motor, Servo Motor Drive and 5 meter motor to drive cable. link to model comparison, specs and dimensions pdf..
Link to Acorn to Estun setup instructions. You will need a CN1 cable to plug into the Estun drives and then connect to the Acorn CNC control board with flying leads as per the Acorn to Estun schematic found here. CN1 cables can be had on Ebay,and other internet locations.. here is an example. 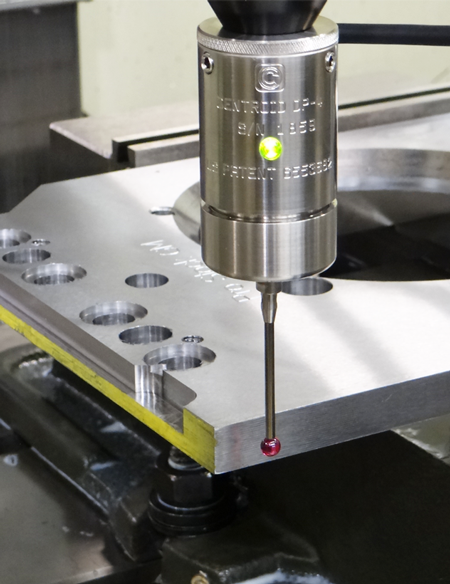 Part, Vise and Fixture Probing: Automatically Set Zero points fast and accurate. Use the DP-4 probe to quickly and accurately find zero points on a vise, fixture or part. Eliminate operator error when setting zero points, finding edges, or center locations of bosses or bores, slots and webs. Eliminates the need for a centerfinder or an edgefinder. You'll never have to spend 30 minutes using a center finder to locate the center of a bore again. The probe will find and set the center of a bore in just seconds. In addition the probe can be used to verify part dimensions and locations and many other applications. The DP-4 mounts in any 1/2" tool holder and has concentric adjustment screws. Patented and Made in USA. DP-4 brochure download. - Super Accurate Kinematic patented design Made in USA. - Program parts in the comfort of your office. - Program while the machine is running a job. - Easy part program transfer from your PC to the control via LAN or USB. - True G-code backplot graphics, see exactly what the machine toolpath will be. - Use on the same PC as your CAD system. - A USB Keylock allows user to install software on as many computers as they want. - Offline programming USB keylock is shipped the next business day. - Download offline conversational programming software here, offline programming software runs without USB keylock but limited to 20 lines of Intercon. Plug in the USB keylock for unlimited conversational programming operation. - Acorn Relay Adapter Card with 5 vdc pig tail. 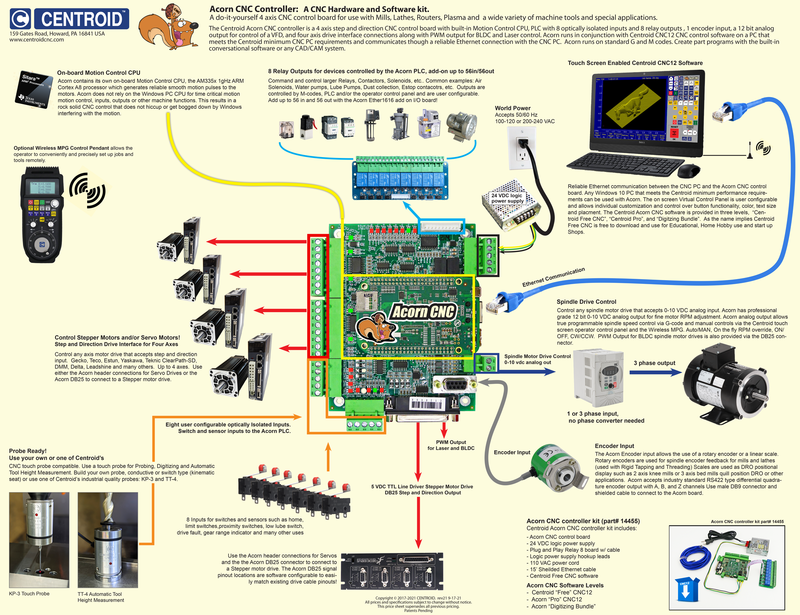 Centroid Acorn CNC controller reviews. 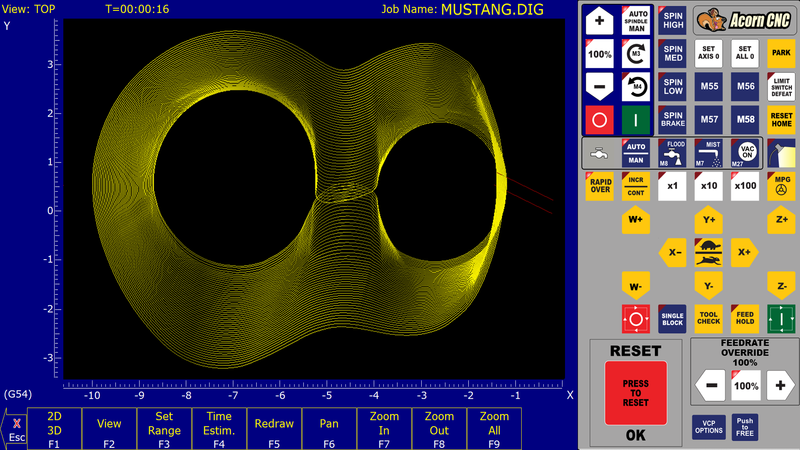 "After dealing with Mach 3 and LinuxCNC for years, I must say Centroid is Light years ahead. Up and running bench test in a matter of minutes instead of days as with those other products. There is much to learn about Centroid but I am confident it is a very solid product. I can't find the words to properly describe the difference." - Makeron.